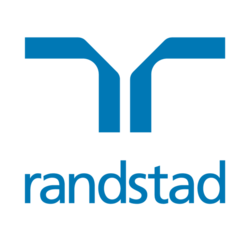 Randstad is partnering with Turkish based company that specialize in chemical. The company have made good profit for past two years and planned to grow their malaysia team. They are currently in search for talented electrical & instruments manager. Lead E&I team in design and manage the development of electrical and process automation systems for plant operation team. Implement factory and building automation system for machine and utility control to achieve cost and energy saving. Provide support and instruct E&T team on work arrangement to in house operation team and contractor. Create SOP and ISO documentation for operation and maintenance team. Provide maintenance and technical support to plant operation team and contractor. Ensure all activities that are carried out are in compliance with ESM Integrated Management System requirements (ISO 9001, FSSC 22000, ISO 22716, GMP+B2, RSPO, Halal, Kosher and GMP). you will be reporting to the factory engineering manager and dotted report to the group COO. Your will be required to manage 15 people under your wing with 5 engineer to supporting you. Minimum 10 years’ experience in electrical and automation. Experince working in manufacturing plant will be added advantage. Aside from a highly competitive salary and, you will have access to a mobile allowance, hospital and outpatient benefits, performance bonus. You will be also exposes to regional exposures. You will also have the pleasure of working in a very friendly, close-knit team. As a large organization there is plenty of career opportunities for you to move around. To apply online, please click on the appropriate link. Alternatively, please send your resume to kavilnd.a@randstad.com.my (with subject title: Electrical & Automation Manager) or call Kavil at 03-2036 6606 if you are interested with the job.